If you go in for regular cut and colour services, than you know that it can be incredibly difficult to find a good hair salon in Sydney CBD. There is no shortage of places to choose from but it can be a challenge to distinguish the good from the bad. If you’re not careful to choose the right stylist it can be a disaster. Anyone who’s experienced a bad stylist knows that can be very upsetting, mistakes made on your head are highly conspicuous – not to mention costly and time consuming the fix! If you’re having trouble finding the perfect stylist for you, read the tips below on what to look for when making your decision. What services do they specialise in? Stylist’s all have their strengths and weaknesses. Every hair salon in Sydney’s CBD is going to have a different focus, depending on the skills and expertise they have in house. Whilst most businesses will offer a mix of skills, many will choose to specialise in a single area to capture a niche market. Certain professionals are trained colourists and may even further specialise in a certain colour. Blonde can be incredibly difficult to get right for example, so you may want to seek out a blonde specialist. If you have long locks, choosing the right stylist to get the perfect beachy waves is important and if you’re looking to add extensions, than a well-trained extensionist is essential. Some hair salon’s in Sydney’s CBD will offer speciality services that are not widely available, such as new colour techniques. If you’re after something special, like babylights or fashion colours then it’s worth asking around and seeking out the experts. If you’re looking to find out about services, a good place to start is online. Most businesses will list their services and pricing on their websites. Some services will need to be quoted in person, as the condition of your locks can impact the price – your stylist will usually be happy to provide a free consultation. Every hair salon in Sydney’s CBD is unique and caters to a different crowd. The aesthetic choices of the business can have a big impact on your experience as a customer. If you’re the eclectic type, you might want to seek out some of the artsy, trendy inner city spaces or beauty spots out around Newtown. There are plenty of businesses with a hip and trendy feel, sometimes mixing in interesting add-ons like art or clothing retail space and good coffee. If you’re looking for more of a beachy, relaxed feel, there are endless options around the city to choose from or if you want your service efficient and cost effective, seek out one of the many blow bar options popping up around town. If you’re looking for the comfortable, homely feel there are many smaller shops available with comfy couches, or sometimes perks like laptop space. There is certainly no shortage of businesses offering great coffee to go with your cut. 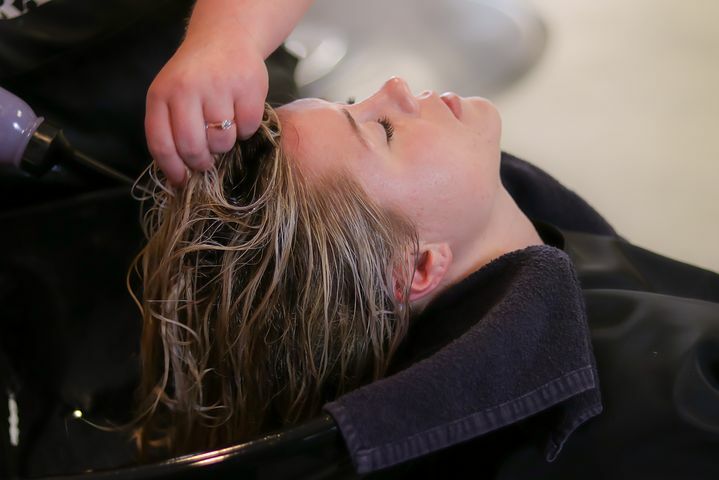 What ever your interest, you can certainly find a hair salon in Sydney’s CBD to suit. There’s nothing like the court of public opinion to help you make your decision! Before you visit, check up on their online review and on their social media. Many hair salons in Sydney’s CBD will post photo’s of their work, this is the best way to tell if you like their style. Many online reviews will go into detail about what you can expect in terms of atmosphere, pricing, timeliness and the best stylists to look out for when you visit.